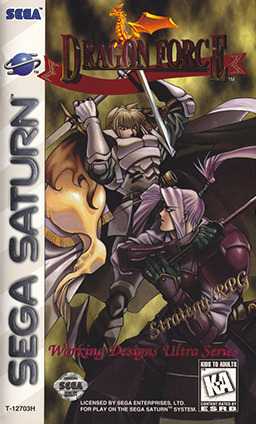 One of the best strategy/RPG games of all time is available for Sega Saturn system. 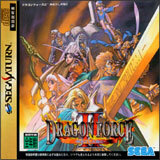 This "Dragon Force" game alone makes the Sega Saturn worth buying. Legendra, a continent that was once a land of peace, prosperity, and a haven for all. 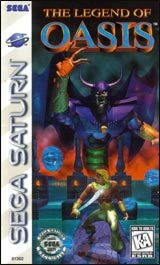 That was until the evil lord known as Madruk unleashed his fury unto the continent, tearing the land between 8 generals all of which are trying to take it all for their people. 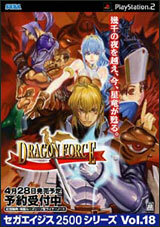 Wein, Mikhal, Leon, Reinheart, Junon, Gongos, Teiris, and Goldark must all be united under the Dragon Force banner to stop the evil plaguing their homeland. 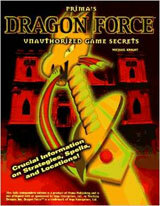 It is your job to unite these kingdoms, can you do it? They won't take your invasion or your call to arms without a fight, as egos must be put aside for the better of all, you have the fight of your life ahead of you. So pick your kingdom, choose your battles wisely, and get ready to enter the fray.